DuckDuckGo started in 2008 as a metasearch with a focus on privacy and avoiding the filter bubble. The content is combined with leading search engines like Bing or Yandex with dictionaries like Wikipedia or Merriam-Webster. »DuckDuckGo (DDG) is an Internet search engine that emphasizes protecting searchers' privacy and avoiding the filter bubble of personalized search results. DuckDuckGo distinguishes itself from other search engines by not profiling its users and by deliberately showing all users the same search results for a given search term. DuckDuckGo emphasizes getting information from the best sources rather than the most sources, generating its search results from key crowdsourced sites such as Wikipedia and from partnerships with other search engines like Yandex, Yahoo!, Bing, and Yummly. The company is based in Paoli, Pennsylvania, United States, in Greater Philadelphia, and has 20 employees. The company name originates from the children's game duck, duck, goose. Some of DuckDuckGo's code is free software hosted at GitHub under the Apache 2.0 License, but the core is proprietary. 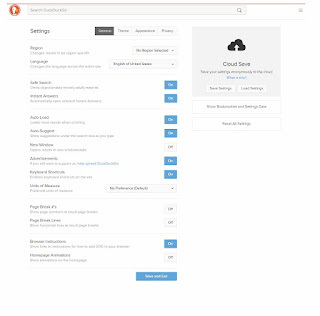 On 21 May 2014, DuckDuckGo launched a redesigned version that focused on smarter answers and a more refined look. 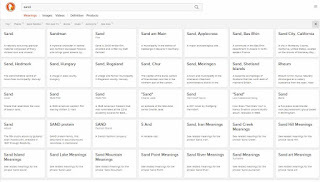 The new version added often requested features such as images, local search, auto-suggest and more. On 18 September 2014, Apple included DuckDuckGo in its Safari browser as an optional search engine. On 10 November 2014, Mozilla added DuckDuckGo as a search option to Firefox 33.1. DuckDuckGo was founded by Gabriel Weinberg, an entrepreneur whose last venture, The Names Database, was acquired by United Online in 2006 for $10 million. Initially self-funded by Weinberg, DuckDuckGo is now advertising-supported. The search engine is written in Perl and runs on nginx, FreeBSD and Linux. DuckDuckGo is built primarily upon search APIs from various vendors. Because of this, TechCrunch characterized the service as a "hybrid" search engine. At the same time, it produces its own content pages, and thus is similar to Mahalo, Kosmix and SearchMe. The name of the search engine has been called "silly" by Frederic Lardinois of Read Write Web. Weinberg explained the beginnings of the name with respect to the children's game duck, duck, goose. He said of the origin of the name, "Really it just popped in my head one day and I just liked it. It is certainly influenced/derived from duck duck goose, but other than that there is no relation, e.g., a metaphor." DuckDuckGo has been featured on TechCrunch's Elevator Pitch Friday and it was a finalist in the BOSS Mashable Challenge. 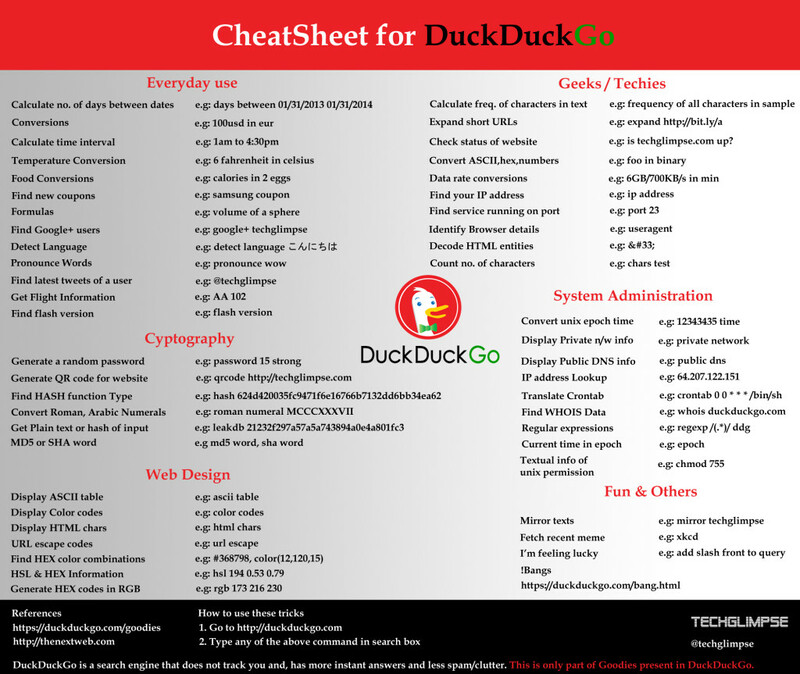 In July 2010, Weinberg started a DuckDuckGo community website to allow the public to report problems, discuss means of spreading the use of the search engine, request features, and discuss open sourcing the code. In September 2011 DuckDuckGo hired its first employee, Caine Tighe. The next month, Union Square Ventures invested in DDG. Union Square partner Brad Burnham stated, "We invested in DuckDuckGo because we became convinced that it was not only possible to change the basis of competition in search, it was time to do it." In addition, Trisquel and the Midori web browser switched to use DuckDuckGo as their default search engine. By May 2012, the search engine was attracting 1.5 million searches a day. Weinberg reported that it had earned US$115,000 in revenue in 2011 and had three employees, plus a small number of contractors. Compete.com estimated 277,512 monthly visitors to the site in August 2012. On April 12, 2011, Alexa reported a 3-month growth rate of 51%. DuckDuckGo's own traffic statistics show that in August 2012 there were 1,393,644 visits per day, up from an average of 39,406 visits per day in April 2010 (the earliest data available). In a lengthy profile in November 2012, the Washington Post indicated that searches on DuckDuckGo numbered up to 45,000,000 per month in October 2012. The article concluded "Weinberg's non-ambitious goals make him a particularly odd and dangerous competitor online. He can do almost everything that Google or Bing can’t because it could damage their business models, and if users figure out that they like the DuckDuckGo way better, Weinberg could damage the big boys without even really trying. It's asymmetrical digital warfare, and his backers at Union Square Ventures say Google is vulnerable." GNOME replaced Google Search with DuckDuckGo as the default search engine in Web, the default GNOME web browser, starting with version 3.10, which was released on September 26, 2013. At its keynote at WWDC 2014, Apple announced that DuckDuckGo would be included as an option for search on both iOS 8 and OS X Yosemite. 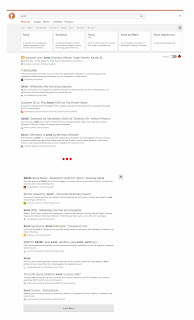 McCracken also included the site in the Time list of "50 Best Websites of 2011". ELI WOLNERMAN (2013):»DuckDuckGo gives zero-click answers to people at the top of every search that might give people what they need without having to further delve into the search. DuckDuckGo also isn’t covered with spam on the search results. And, arguably, the very most important components to DuckDuckGo is the fact that it doesn’t track its users. 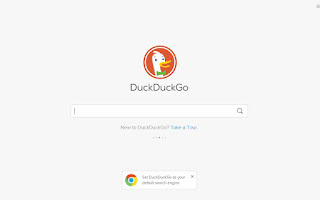 Amy Gesenhues (September 18, 2015): »Today, privacy search engine DuckDuckGo announced it is the default search engine in Adblock Browser for iOS and Android devices. In addition to being the default for the Adblock Browser, DuckDuckGo says it is working with the Electronic Frontier Foundation (EFF) on a new “Do Not Track” standard, and also has agreed to sign the “Acceptable Ads Manifesto” – an effort to promote non-intrusive ads – along with Reddit, Stack Exchange and Adblock Plus. All three of these initiatives are in effort to reduce tracking across the Internet, which will reduce the ads following you around and more questionable issues like charging different prices to different people based on profiling. »DuckDuckGo's results are a compilation of "about 50" sources, including Yahoo! Search BOSS; Wikipedia; Wolfram Alpha; Bing; its own Web crawler, the DuckDuckBot; and others. It also uses data from crowdsourced sites, including Wikipedia, to populate "Zero-click Info" boxes – grey boxes above the results that display topic summaries and related topics.